"Everyone needs a laboratory as amazing things come from examination." Science pedagogy answers this question and always considers that the theoretical content of a science course is closely linked to the hands-on practical session/work, methodology of investigative analysis, reasoning, observation and accounting. Each of our laboratories is spacious, well ventilated and many children can practise their laboratory work simultaneously. Here, students follow ready-formulated procedure, get the equipment functioning, observe, arrive at the conclusion by connecting and computing with the able guidance of the teachers. Even before a child enrols itself into the school, it starts showing its inquisitive nature by asking innumerable questions and waits for a convincing answer. Students should know that science cannot be learnt only by hearing the theories or by reading a textbook. 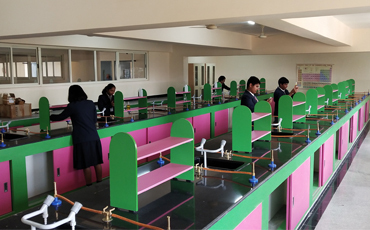 It is in the laboratory that physics students learn to practice the experiments, perform procedures, collect and analyze data, conclude with a personal verification and validation. 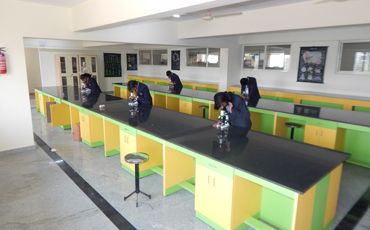 The Lab follows all the required statutory norms and safety standards recommended by the council. 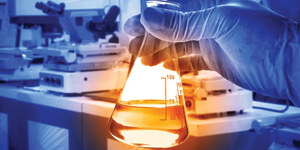 The measures include taking care of laboratory-specific signage for flammables, chemical product labels, safety data sheets, waste disposal consideration, knowledge of laboratory glassware and equipment, common laboratory hazards, assess the risks of the hazards before an experiment, spills, what if an emergency occurs? The laboratory has a first-aid kit to attend to spills and burns. To learn about the morphological, structural and physiological aspects of live specimens and preserved specimens of plants and animals, students need to visit the lab. This lab houses models, slides and charts to trigger the students’ curiosity to know in detail what they have learned inside the classroom. To enhance the computer literacy skills among the children, students are taught the nuances of theory in their respective classrooms and the practical knowledge is imparted in the computer lab to integrate the theory with the classroom teaching. 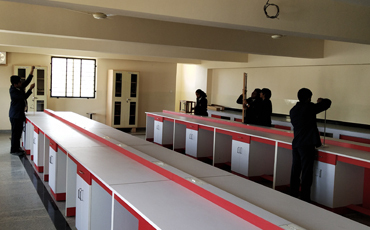 The computer lab is well equipped with modern facilities and with high speed connectivity for teaching-learning. With guidance, our students make use of e-resources, multimedia, etc., and learn to edit and format text documents, write a program and so on.